House Speaker Paul Ryan says he is uncomfortable with the administration’s current “zero tolerance” immigration policy. 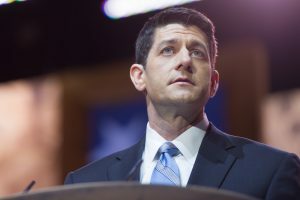 On Thursday, June 14, House Speaker Paul Ryan publicly objected to the practice of separating undocumented migrant children from their parents at the border. The Wisconsin Republican called on Congress to fix the issue through legislation. During his weekly news conference, Ryan told reporters that he is uncomfortable with the growing number of minors who are being taken from their undocumented parents and placed into temporary housing shelters. His stance appears to clash with that of Attorney General Jeff Sessions, who recently announced a “zero tolerance” policy on illegal immigration. Ryan holds the legal system accountable for breaking up immigrant families. The Flores Settlement of 1997 set U.S. standards for the treatment and placement of undocumented minors. This agreement requires that children who remain in federal custody be housed in the least restrictive environment possible, in accordance with their age and needs. This generally means a non-secure facility that is designed to care for dependents as opposed to delinquent juveniles. The Flores Settlement also mandates that minors be released from detention without unnecessary delay to a parent, adult relative, legal guardian, or an individual who has otherwise been granted legal custodianship. Shortly afterward, House Minority Leader Nancy Pelosi (D-Calif.) issued her own statement on the practice. Pelosi and Ryan are just two of the many public figures that have spoken out against the Trump Administration’s policy to prosecute all illegal immigration cases, breaking up families in the process. 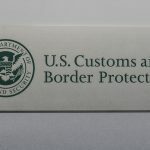 The UN recently issued a stern warning to the US, calling for it to “stop criminalizing what should at most be an administrative offense.” Aside from the human rights concerns this practice has raised, it has also created a logistical nightmare as shelters near the border have filled up at an alarming rate—many now over-capacity. The House will vote next week on two bills that are designed to both tighten border security and protect Dreamers (immigrants brought to the U.S. illegally as children).